Halloween is one of my favorite holidays, I love dressing up and the cooler temperatures. To celebrate, I threw a little porch party at my family's farm. We had spiked desserts, tasty cocktails, and even "adult trick or treating". Why should kids be the only ones that receive treats on Halloween? Mini Jackson Morgan bottles are perfect for adult parties. I made my bar cart the cocktail station complete with orange paper straws and festive cups. Jackson Morgan's whipped orange cream is the perfect flavor for Halloween. Who can resist the orange color? We mixed the whipped orange with Tennessee whiskey for an irresistible cocktail. 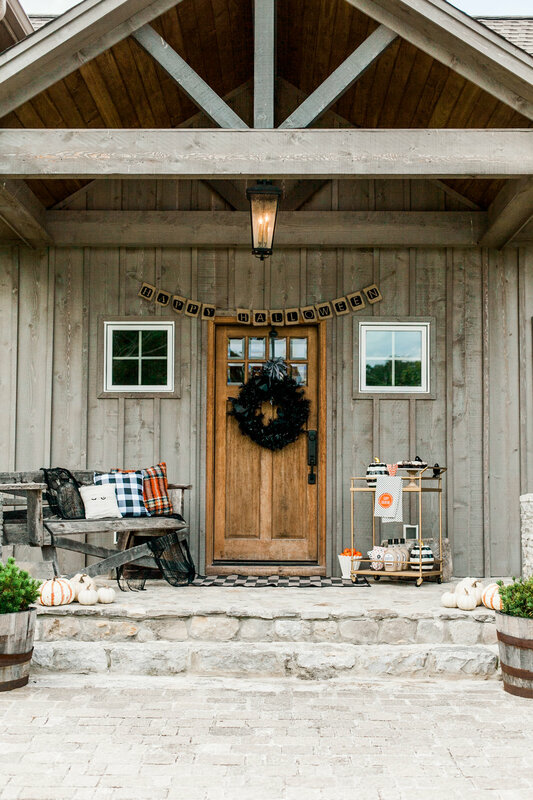 To throw your own Halloween porch party, all you need are favors such as our mini bottles, sweet treats, cocktails, and a few decorations such as pumpkins and a festive banner. P.S. More Halloween treats to come on The Sip!